The creator of The OC, Josh Schwartz, has a new project, Rockville, which is a web-based serial centered around a music club, presented in four-minute chunks. 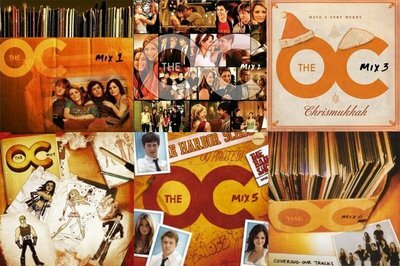 Unsurprisingly, given the setting and Schwartz’s history of launching new bands with The OC, he’s announced that he plans to showcase indie bands in each webisode, if ‘showcase’ is the right word for ’15 second cameo.’ More interesting, however, is what he plans to do with the rest of the footage – Schwartz plans to put the full live performances online, with possible plans to release a DVD. Here at z=z, we’ve spent a bunch of time thinking about music in advertising and in TV shows, so it’ll be interesting to see how well it works in this mostly untried medium. Hey, Justin – my understanding is that it’s going to be a set with actors, it’s just that the set is a club. Given that the whole episode is only 4 minutes long, 15 seconds is a decent proportion. But yeah, I’m waiting to see how it plays out. Each webisode will have a cameo from each band with their music showcased throughout as a theme, but don’t fret, the website will have the two full length song performances. You can also sign up for the email list there. debcha’s note: The above is from a WB consultant, and is helpful, interesting, and transparent. An astroturf comment, from the same IP address, was summarily deleted.